1. Why did Columbus first come to the Americas? Describe his voyages. Why was he so cruel to the natives? 2. What were important features of Arawak culture? 3. In what ways does Zinn claim that his approach to writing history is different from that of more mainstream historians? 4. What is "progress" and how does Zinn challenge traditional notions of "progress"? Why is an important point? 5. What Native American nations does Zinn point out regarding the status of women? Describe it for each nation. LO Prompt: Identify Columbus' voyage and why he went to the America's. Describe the Arawak and the other Native American cultures. Also describe the concept of "progress" and why it proves problematic. 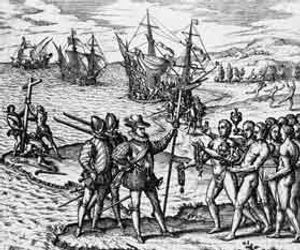 The people that Columbus and his men encountered were the Arawak. Jamestown itself was set up inside the territory of an Indian confederacy, led by the chief, Powhatan. Powhatan watched the English settle on his people's land, but did not attack, maintaining a posture of coolness. When the English were going through their "starving time" in the winter of 1610, some of them ran off to join the Indians, where they would at least be fed. When the summer came, the governor of the colony sent a messenger to ask Powhatan to return the runaways, whereupon Powhatan, according to the English account, replied with "noe other than prowde and disdaynefull Answers." Some soldiers were therefore sent out "to take Revenge." 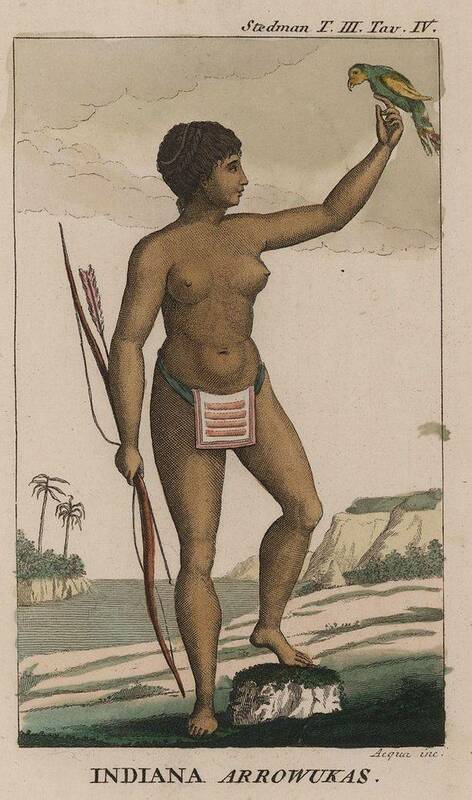 They fell upon an Indian settlement, killed fifteen or sixteen Indians, burned the houses, cut down the corn growing around the village, took the queen of the tribe and her children into boats, then ended up throwing the children overboard "and shoteinge owit their Braynes in the water." The queen was later taken off and stabbed to death.